If it’s not one thing…it’s another. After all of the outcry about the autism and vaccine connection, we thought that replacing mercury as a preservative with thimerosal would make us safe. Now, it turns out there could be another potential hazard. Several studies published in medical journals have linked amalgam fillings to increased levels of bodily mercury and we all know what that means! Mercury has been linked to a variety of serious health concerns. Millions of Americans have cavity fillings made of amalgam, a blend of about 50 percent mercury, a neurotoxin, plus tin, silver and other metals. (Fillings called “silver” are actually amalgam.) Although they’ve been widely used for more than 150 years, some people say amalgam fillings can emit mercury, causing damage to the brain, kidneys or nervous system. As often happens it took a group of concerned citizens to force the FDA to reconsider its position on amalgam fillings. A lawsuit brought by Moms against Mercury was recently settled and the FDA now has this statement on their website. Thanks for watching out for us, guys! For Parents and parents to be there are several issues. 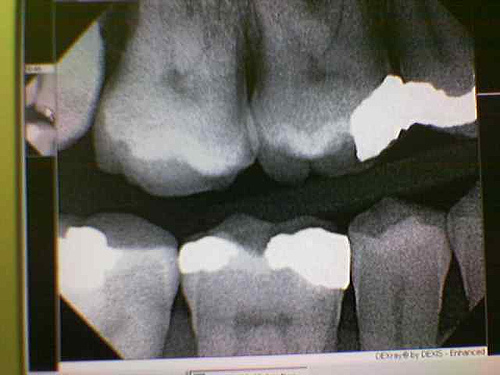 First, should amalgam fillings be removed? It’s not an easy or very environmentally friendly process as mercury from the fillings can end up in the sewer system and in landfills. Many dentists do have a waste recycling program in place to prevent environmental damage, so ask yours about it. If you are pregnant or planning to become pregnant, you might want to consider having old fillings removed. If you or your children require new fillings consider getting tooth colored resin or porcelain ones. Do Your Children’s Shoes Contain Mercury? My son has a few silver fillings, despite my protest. The pediatric dentists at UCSF insisted that was the only way to save those teeth. I think that they assume since they are baby teeth and will eventually fall out, the amount of exposure is less than for an adult; however, I am concerned! First, I would like to respond to JJW. Approx. 48% of dentists still use silver fillings, which are all 50% mercury, a known neurotoxin.Mercury fillings are a risk to pregnant women, the fetus and young children, but also to men and women of all ages. The mercury leaches from the fillings 24/7 and is inhaled into the bloodstream. see: http://www.toxicteeth.org, http://www.iaomt.org. for Jennifer Lance, The denist should never have insisted on placing an amalgam filling in your child’s tooth. CA has a Prop65 law which every dentist should follow, and that is informed consent. You are given all the information about the filling and you then make the decision about the materials you want used. White fillings are covered by Cal-Med in CA. Amalgam fillings are cheaper and faster, that is why they use them. I would request that the dentist remove the filling and place it with a white composite filling. How old is your child. please e-mail me directly: frekoss@aol.com. are you kidding me, no one mentions the cost. I dont have 3400 dollars to have my 4 year son have his fillings done with porcelein. Im sorry but those teeth are gonna fall off in 2 to 3 years, i just dont see it happening. they said my son needs an injection to put him to sleep, and charging 1400 for him to show up and inject him. 1400$ man thats a fortune and in todays economy im not sure i want to tap into my savings since i could get fired any day now.